VAUGHAN – It’s time to play …..at your neighbourhood Playhouse! Welcome to the City Playhouse Theatre. 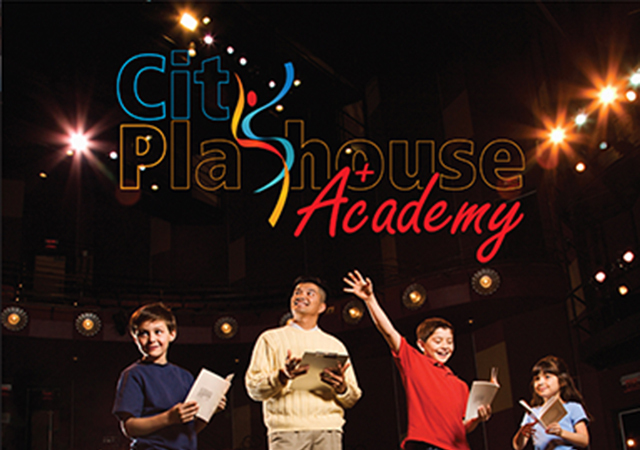 The City Playhouse Theatre is the premiere live family entertainment venue in York Region. Our 2012/2013 has over 15 productions to choose from. Our Education in the Arts programs allows students in York Region to experience professional arts programs right in the heart of Vaughan .The City Playhouse also offers the opportunity for training in the Fine Arts through it’s Academy program available for students of all ages. The Playhouse is a 386 seat venue available for rent to both community and professional groups. For more information lease contact us at 905 326-7469 or online. The Playhouse is not just about what’s happening on stage. We have such a vibrant thriving arts community that we hope to feature here at the theatre, I hope you will come over to experience how exciting the vibe is around here. If your interest lies in getting on the stage yourself, make sure you check out our Academy program. We have courses for all ages, ranging from beginners to pros. Feel like a little local cuisine before the event? We now offer fantastic lunch and show packages. If you have an upcoming event or corporate function, keep us in mind. You can rent our 386-seat auditorium and/or lobby at an affordable price. We provide an attractive and professional venue to make your event a success. Working with the local school boards the City Playhouse theatre is pleased to offer our “Education in the Arts” season of educational programming for kids of all ages. The City Playhouse offers a wide variety of exciting stage productions with a focus on curriculum connections. Workshops and Study Guides are available. For more information, please click on the following link. The City Playhouse is located in Thornhill at 1000 New Westminster Drive, (part of the Benjamin Vaughan Complex) which is just off Bathurst Street between Hwy. 7 and Centre Street. Box office also opens 1 hour before show time.